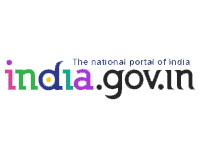 The scope of the project is to capture employee profiles as well as office profiles in the CPIS database of all the departments, spread over in the entire state of Jammu & Kashmir. It also envisages to keep uptodate information of employees, when they are promoted, transferred or retired etc. It also aims to assign a unique Employee Identification Number to all the employees for future references. Further this CPIS database can be used for electronic service book and GPF. The implementation of CPIS is a Flagship E-Governance Application of the Govt of Jammu & Kashmir. It gives a thought provoking ideas to everybody, how to manage personnel information systems in the organization. It is able to give clear cut information about an institution or of an office, how many posts are created and how many staff is deployed. In short, it can give information about the excess or shortage of manpower in a particular office in a click of the mouse. The system automates the existing system to the best of its utility and reduces time consuming process of compiling information, data etc which are required very often the manual to a maximum degree. It also minimizes the errors out of labour intensive and time-consuming processes. Note:- In case you forget the password, you may advised to click on Forget Password link.